In today’s world it’s a harsh reality that for most positions you apply for there can be 200 to 300 people who are competing for that same spot. You may be the perfect fit for the role and you may have outstanding interviewing skills to impress the wits out this potential employer, however, if your resume does not scream “perfect candidate” to the employer…you may not even get a chance! In today’s blog, we’ve reached out to our HR department and gathered tips and tricks on how to make your resume talk! The world of recruitment is changing, and these days your first point of contact with the employer is your application. Research shows that the majority of recruiters or employers “scan” your resume. This means that you only have a few seconds to make a lasting impression and get your application to stand-out from the crowd. Remember, employers will scan your resume from top to bottom…so make sure to place your best material in that first half of the page! With 300 resumes in front of them, employers will not give the benefit of the doubt to an average resume. If you did not make an effort to create a masterpiece, than perhaps this may signal to the employer that you are not as interested in this position compared to other candidates. Here are some tips to make your resume “pop” and showcase your talents. Start your resume with a brief Summary of Qualifications, Professional Summary, Transferable Skills, Profile, or Objective. Do not make that Summary of Skills section very long – it needs to be clear, concise and informative. If your education or training is relevant to the position at hand, place this information right after the introduction, before your Work Experience. If you do not have a sufficient educational background or your education is not relevant for the role, strategically place this section right after your Work Experience. Insert dividers in between the different sections of the resume, to make it easier for the employer to read. Do not list the different courses you have taken at university or college – the employer has a pretty good idea. If your position requires knowledge of various computer programs, or databases, add a Technical Skills portion. Do not place your GPA on the resume, unless you are a new graduate. This signals that you do not have much industry experience. Add some color to your resume! Make it visually appealing! Make it easy on the eyes, and do not layout your resume in columns. Ensure that you include just the most recent and relevant work history. Try to not make your resume longer than two pages. When describing your previous roles and responsibilities, put some thought into how you phrase things. Use power words:Performed, accomplished, administered, collaborated, communicated, ensured, handled, identified, participated, launched. Do Not make spelling mistakes – proof read, proof read and proof read! Number One and Final DO: Customize your Resume and Cover Letter Make sure you study the job posting and the company, and know exactly what the employer is looking for. In fact, you can look at what responsibilities and qualifications are included in the job posting, and use similar wording in your resume. Finally, you don’t need to state “References available upon request”. The employer already expects that you will be able to provide references if asked. You may ask: “Why would I put in so much work if the employer simply scans my resume?” Well, once you have captured the employer’s initial attention – trust us, they will read through your resume in detail and appreciate all your hard work, thought and consideration. 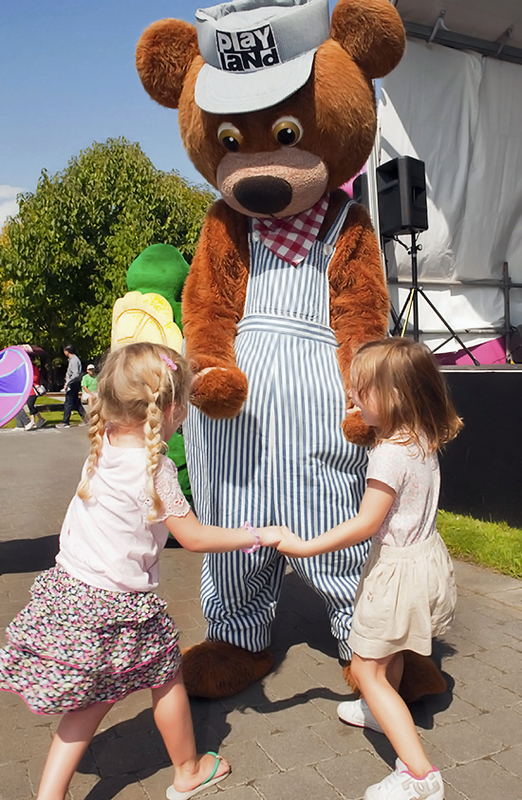 Apply to work with us during the Fair at the PNE! We’ll start accepting resumes and applications in June, so you have plenty of time to get your resume in shape! Good Luck, and may your resume speak the right words to your potential employer! 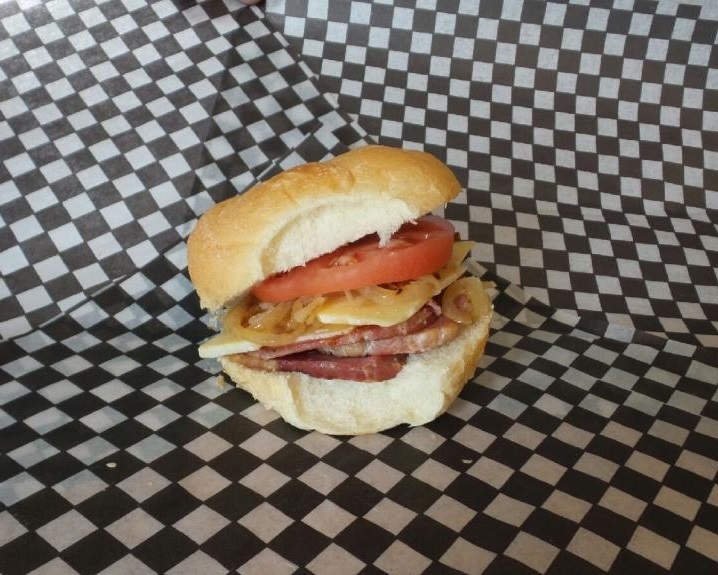 Tips & Tricks from the PNE’s Chef, Aaron Jeffs. Aaron Jeffs weighs in on his top kitchen must-have which happens to be a staple gadget here at the PNE. 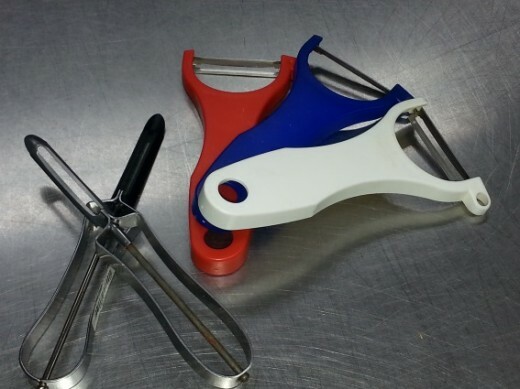 A Mandoline or V-Slicer should be in everyone’s kitchen! It’s great for fast meal prep or for those times when you need consistency in your presentation. There are tons of options in the market ranging in price from just a few dollars for a plastic model to several of hundreds for a stainless steel version. With so many options to pick from it can be hard to determine how much you really do need to spend. Jeffs comments that for him personally and for use at the PNE, the more economical units ranging from $20-$40 have worked out perfectly. At the PNE we use ours daily for our classic Scalloped Potatoes (look out for the recipe next month!) and the Sweet Pickled Cucumbers on our Braised Beef Short Rib Sandwich. The V-Slicer is what we use at the PNE. They’re extremely sharp and will stay sharp for several years so Jeffs recommends to always use the slicing guard, no matter what. Ours are over 4 years old and still have a great edge. Believe it or not, we got them at The Fair’s MarketPlace! V-Slicer from the MarketPlace at The Fair. 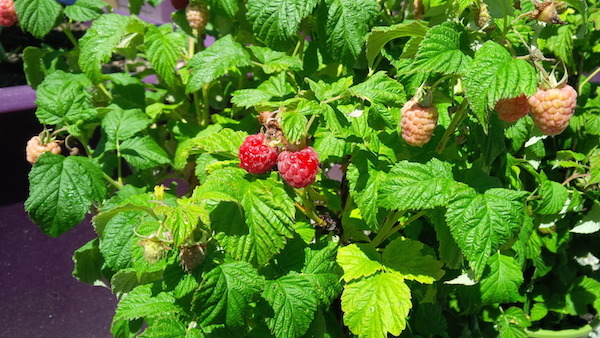 Pick one up from this year’s MarketPlace at The Fair running August 22 – September 7. 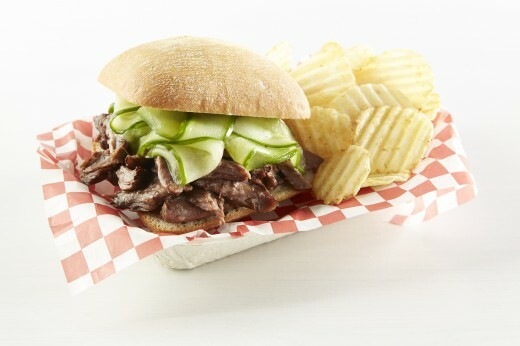 The Sweet Pickled Cucumbers on the PNE’s Braised Beef Short Rib Sandwich are cut using our MarketPlace V-Slicer. 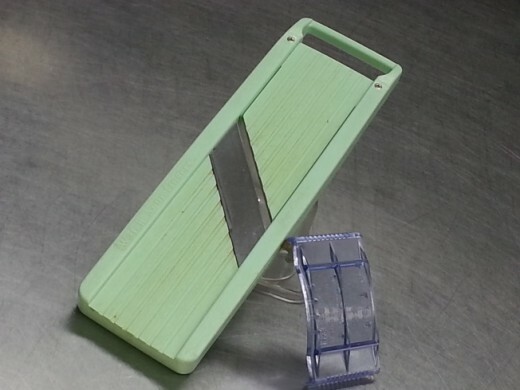 The Japanese Mandoline which can be purchased at most Asian grocery stores, is also very sharp and will stay sharp for many years. 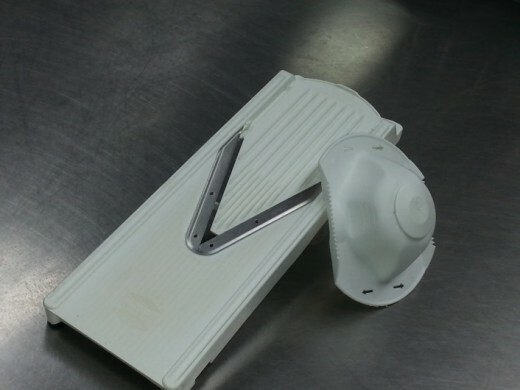 The Japanese model is adjustable to allow you to choose your thickness of slice whereas the V-Slicer and many other kinds are not. Again, always use the slicing guard, no matter what. Potatoes Gratin (Scalloped Potatoes) being made using a Japanese Mandoline here at the PNE. Check out the recipe next month on our blog! To make long thin slices of vegetables, and if you don’t have a slicer of any kind, you can always fall back on a handy vegetable peeler!